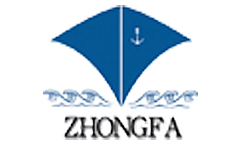 » Listings » Freight Forwarding » Zhongfa (Tianjin) Shipping Co. Ltd.
Zhongfa Shipping Co. Ltd. is an A-class international freight forwarding company founded in 2001. Our main office is located in Tianjin with various branch offices in Shanghai, Ningbo, Yiwu, Shenzhen and Fuzhou. We aim at providing exceptional services to our highly-valued commercial clients, private individuals and agents all over the world. We offer direct and transshipment services from all major loading ports in China with cost-efficient and time-sensitive alternatives specially tailored to meet our customers’ needs. Our competitive prices facilitated by time-prioritized transportation, value-added logistics services, and integrated global automation are tantamount as we endeavor to cater to our clients’ needs. Our comprehensive and integrated services include sea freight and container shipping, worldwide air freight, haulage, warehousing, customs declaration, inland transportation (road freight and logistics), marketing, export & import services.